On the occasion of Masat-1’s first birthday we prepared two surprises for the guests at the event. 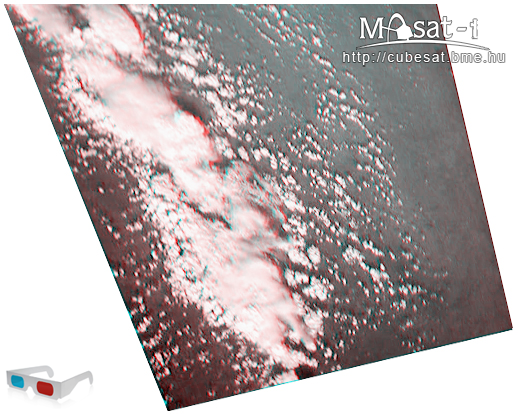 We managed to take unique 3D space photos with Masat-1’s camera, and we picked one to be shown to our audience. The picture was taken over the southern part of Africa. The picture published is compatible with 3D glasses with red and cyan filters. The 3D photos were taken at short intervals. Traveling at 7-8 km/h, it requires Masat-1 a few seconds to move to the adequate positions to create the 3D effect. 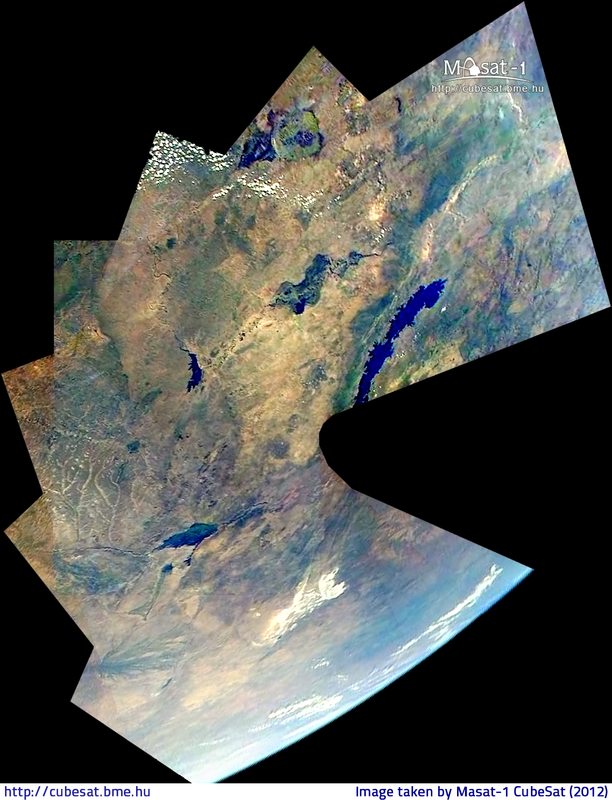 Another novelty is the so-called mosaic image, which consists of seven overlapping photos made by Masat-1 during a passing over a certain part of Earth. Timing is essential in this case too, and it is determined by the satellite’s movement and orbit. This method made it possible to create an image of a greater area with higher resolution than what the camera would normally have been able to make. The picture depicts the Southern part of Africa. Lake Kariba is a characteristic of the area.